MK-B | Makedonien: Alexandros III. ca. 336-323 v. Chr. AΛEΞANΔPOY. Zeus Aetophoros sitzt auf einem Hocker (diphros) nach l., in der l. Hand ein Zepter. Im l. F. ein Kranz. M. J. 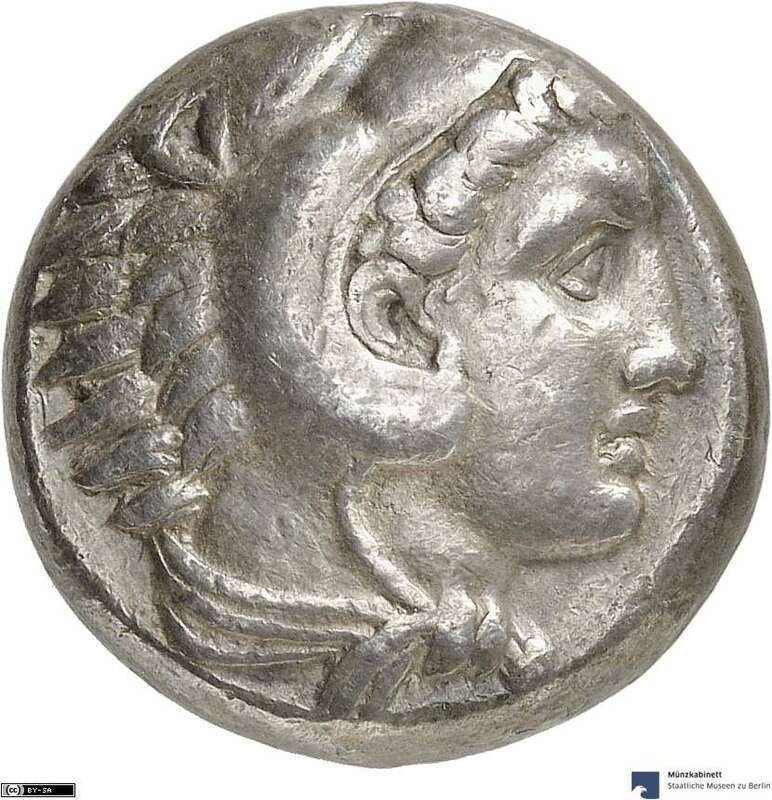 Price, The coinage in the name of Alexander the Great and Philip Arrhidaeus (1991) 90 Nr. 14 ('Amphipolis', 336-ca. 323 v. Chr. 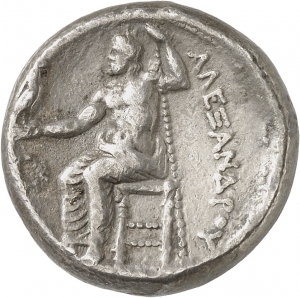 ); H. A. Troxell, Studies in the Macedonian Coinage of Alexander the Great. ANS Numismatic Studies 21 (1997) 21. 95 f. B 3 (Amphipolis, ca. 332-326 v. Chr. ).